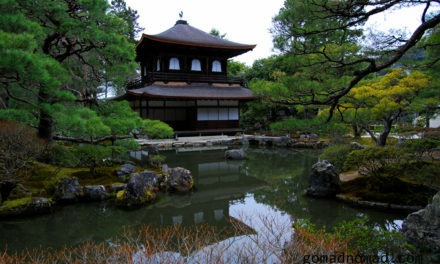 Taiwan is slowly gaining popularity among independent travelers. 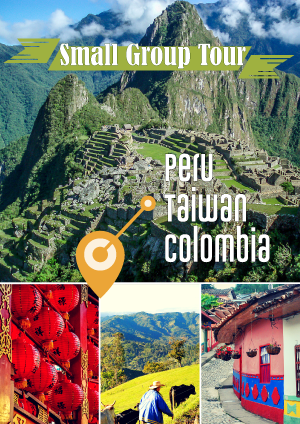 The intrepid travelers who venture to Taiwan will find a country endowed with stunning landscapes, incredibly hospitable people, and delicious food. Due to its history and proximity to China and Japan, Taiwanese cuisine is a mouthwatering union of Chinese cooking styles, Japanese techniques and indigenous ingredients of the land. This is by far the simplest and cheapest dish you can find in Taiwan, but it’s incredibly delicious. 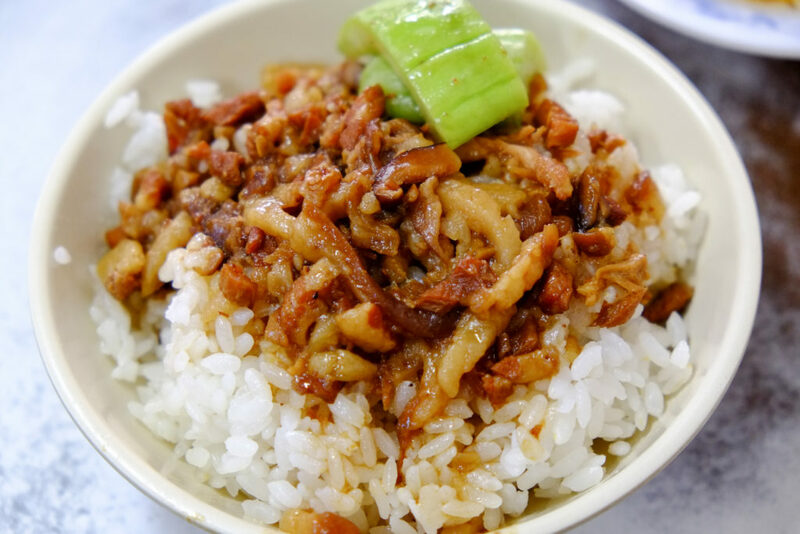 Braised pork rice is what the name suggested; a bowl of white rice doused with minced pork belly. The pork belly is cooked slowly in aromatic soy sauce with five spices. What makes this dish so satisfying is how the sauce seeps into the rice, and how the fatty pork belly melts in your mouth. 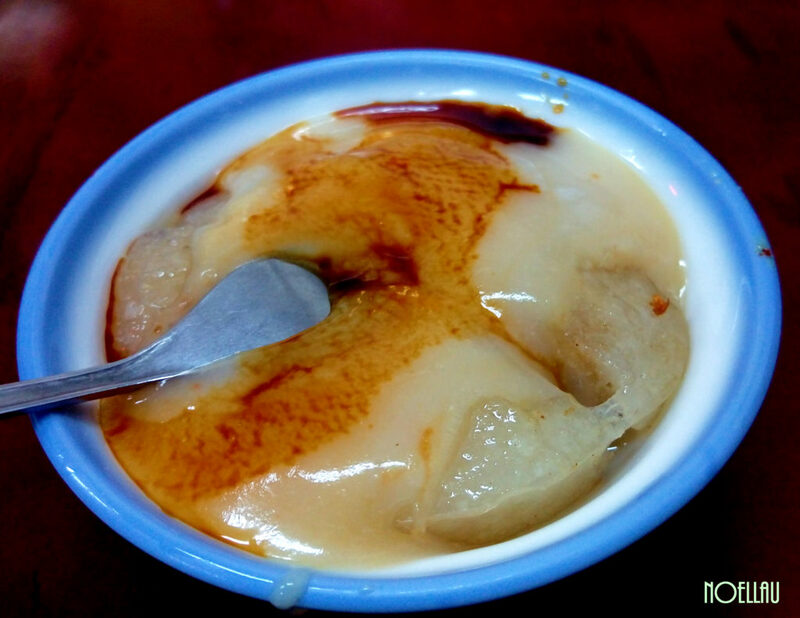 Many Taiwanese claim that lurou-fan is their favorite food. It’s one dish that transcends social status; a nice bowl of braised pork rice is as appealing to a CEO as well as a construction worker. 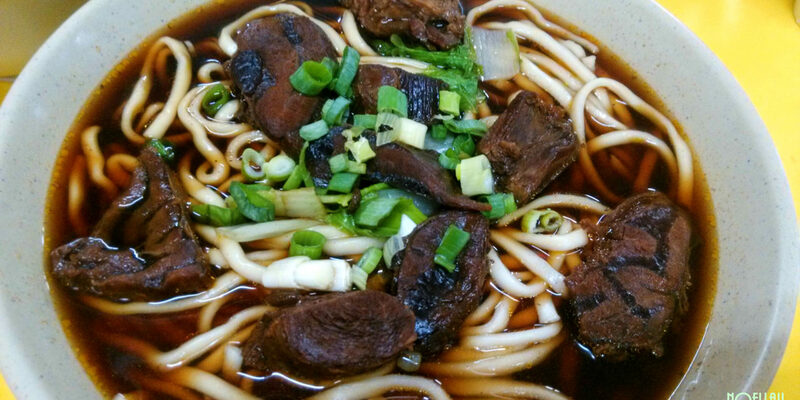 Beef noodle is the epitome Taiwanese comfort food. A bowl of beef noodle is one of those dishes that will always fill you up, leave you satisfied, and even warm you up in the winter months. It’s a bowl of thick noodle, topped with delicious beef shank or brisket and vegetables, swimming in a spicy and aromatic beef broth. The beef shank is stewed or braised over a few hours until it becomes tender and juicy. 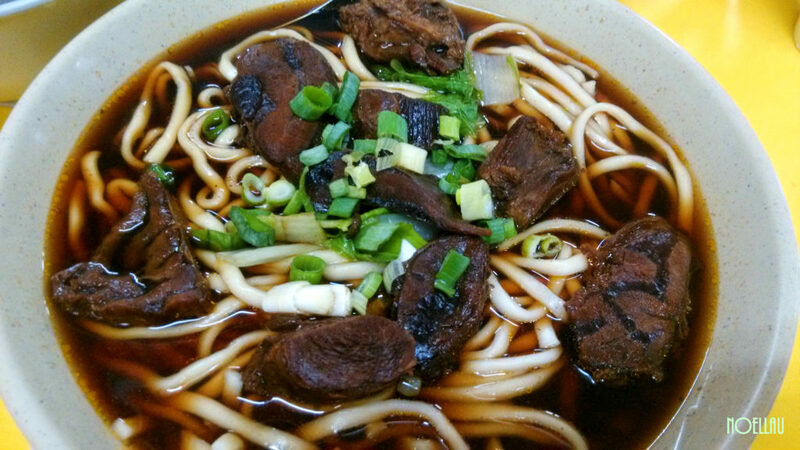 Beef noodle can be found anywhere in Taiwan. Whether you have it in a fancy restaurant or a street-side stall, what you will get is a bowl of quintessential Taiwanese experience. One of the most polarizing dishes in Taiwan. 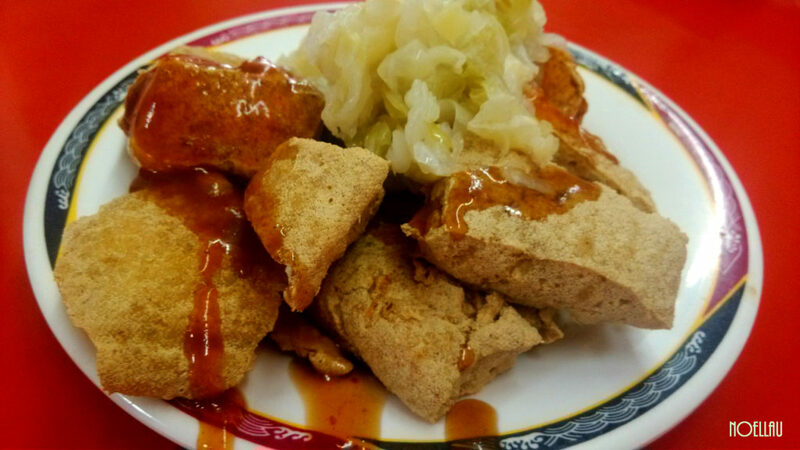 Depends who you ask, stinky tofu is either terribly nauseating or deliciously aromatic. 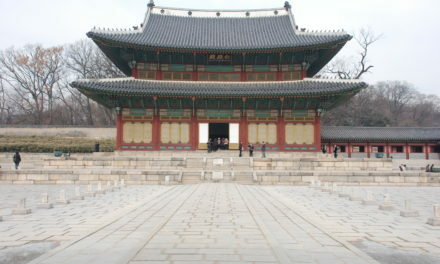 Fermented bean curds are cut into cubes, deep fried, then served with pickled vegetables and sweet and spicy sauce. It looks like a normal fried tofu, with crispy skin and soft center, but its “aroma” can kill a battalion of soldiers. Most foreigners raise the white flag as soon as they smell it, but it’s the smellier the better for the locals. But don’t be put off by its smell, try it before you judge it. 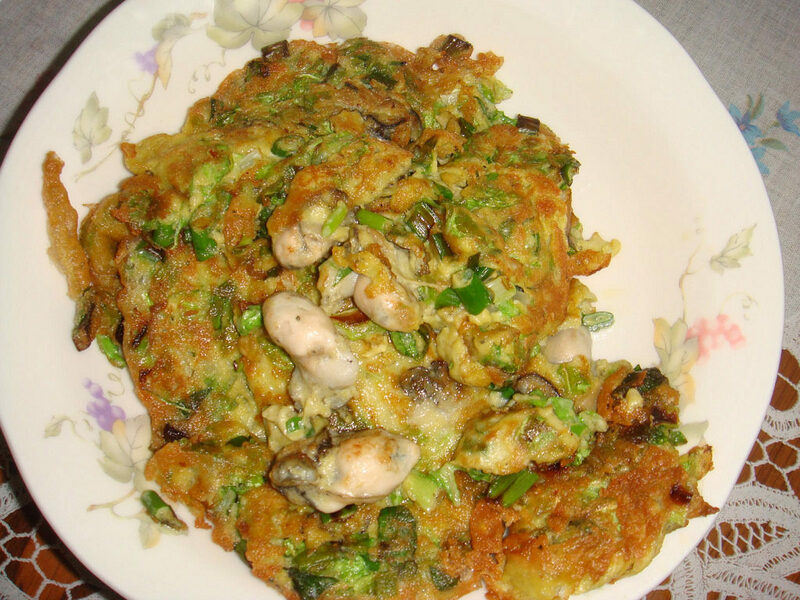 Oyster omelet is the perennial night market snack, loved by young and old alike. It is hands down one of the most popular snacks in Taiwan. It consists of fried eggs with oysters fillings. Unlike the oyster omelet found in Singapore and Malaysia, tapioca starch is mixed into the egg batter in the Taiwanese version; giving the dish a thick and gooey consistency. Pork lard is traditionally used to fry the omelet, giving it an irresistible aroma that makes your mouth waters. 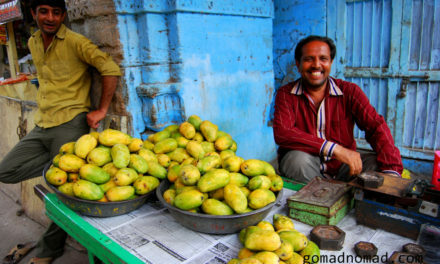 It is usually eaten as a snack, but it is also substantial enough to be a meal in itself. This translucent offering may look like an alien life-form but putting one in your mouth will introduce your taste bud to a whole new world. The skin of the dumpling is made with a dough of rice flour, cornstarch and tapioca starch, to give it a gelatinous and chewy texture. The stuffing varies in different regions in Taiwan but typically consists of a mixture of pork, vegetables, mushrooms and bamboo shoots. The dumplings are steamed and then served with sweet and savory sauce. The all-time favorite breakfast dish for locals and foreigners alike, dan-bing is widely available in most breakfast shops at every corner in Taiwan. 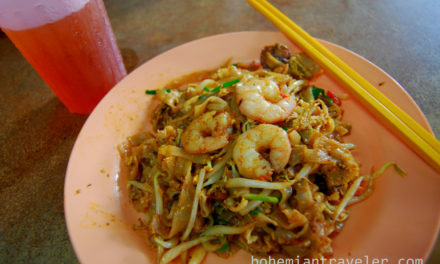 It is made with cooking a thin layer of dough on a hot plate, crack an egg on top of it, and sprinkle with salt and spring onions. When it is cooked, it is folded, sliced, and doused with a dark sweet sauce. Some places do it with a more crispy exterior, not unlike a well-done crepe. It is also a versatile dish, as you can add fillings to it: bacon, ham, tuna, corn, cheese, etc. Literally translated as “small sausage wrapped in big sausage”, dachang-bao-xiaochang is a Taiwanese version of a hot-dog. But instead of a bun, the sausage is wrapped inside sticky rice. 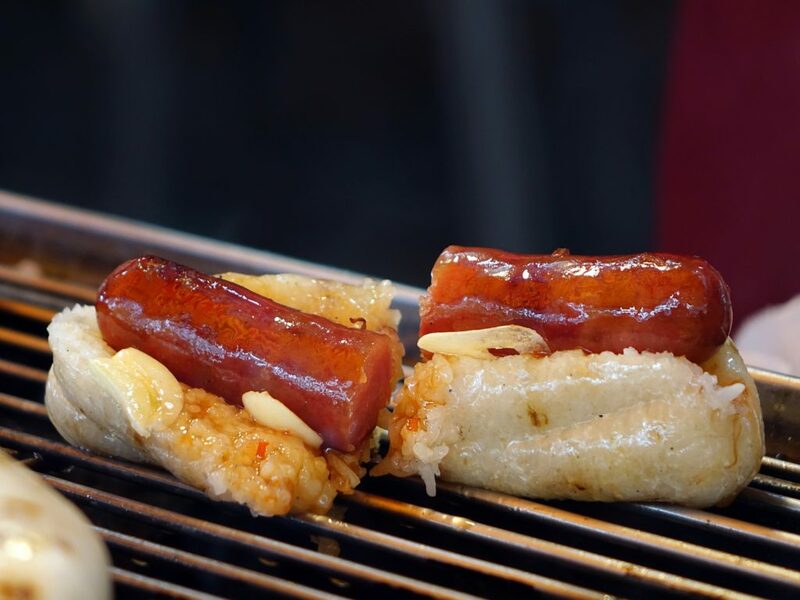 The sticky rice is stuffed inside an oversize sausage casing and then grilled alongside Taiwanese pork sausages. Once the sausage is cooked, a slit is cut into the sticky rice to house the sausage, like a hot dog. Garlic, pickled vegetables, pepper, etc. can be added for a more complex flavor. This tantalizing and ultra-popular snack can be found in any night markets in Taiwan. Taiwanese love their spicy hot pot. 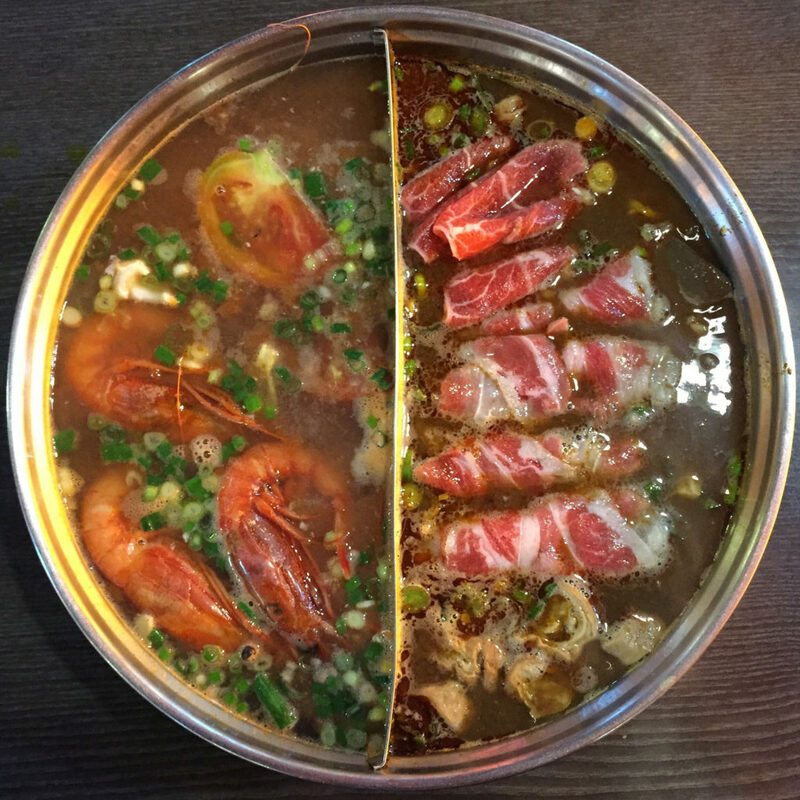 Places serving spicy hot pot are popping up everywhere in Taiwan, especially in the big cities. The broth of this hot pot is very rich and extremely spicy; using all sorts of Chinese herbs, peppers, and spices. Diners can throw in raw meat and fresh vegetables of their choice into the bubbling broth to create an unforgettable meal. Going out with a group of friends for a spicy hot pot is very popular among the younger generations of urbanites. 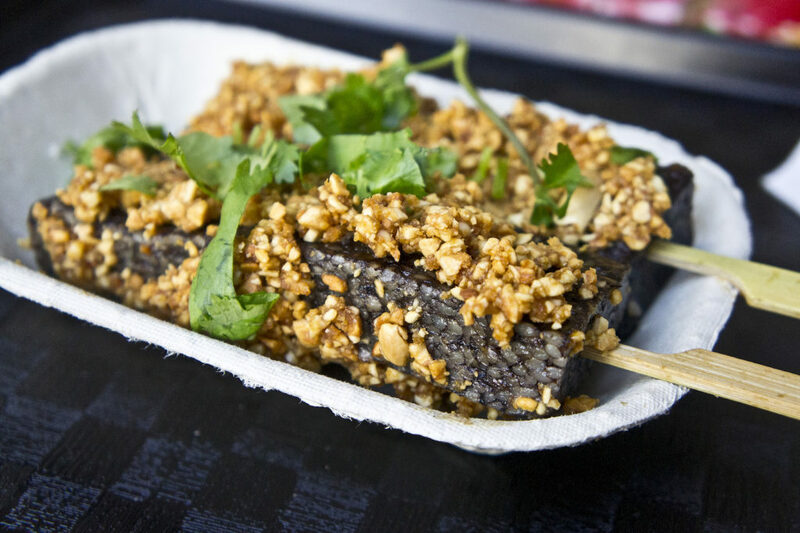 Pig’s blood cake is a street food delicacy especially loved by the older generation of Taiwanese. Unlike stinky tofu, most foreigners won’t be too scared to try it at least once. In essence, zhuxue-gao is similar to Spanish’s morcilla. It is made with pig’s blood being mixed into sticky rice boiled in soy sauce. When it is cooked it has the consistency of an elastic eraser. It is then cut into rectangular popsicle size, coated in peanut powder and served on a stick. This savory popsicle is very unique in texture, like a cross between rice cake and mochi. Not exactly food, but pearl milk tea is so inherently Taiwanese that it has to be included in this list. It was first invented in Taiwan in the 1980s but has taken the world by storm in the last decade. This drink is traditionally made with Taiwanese black tea, milk, and syrup. Small chewy tapioca balls are added to the drink for texture. As the drink evolves, you can replace black tea with green tea, jasmine green tea, and even coffee. Different flavors – strawberry, almond, caramel, etc. – can be added to the drink. 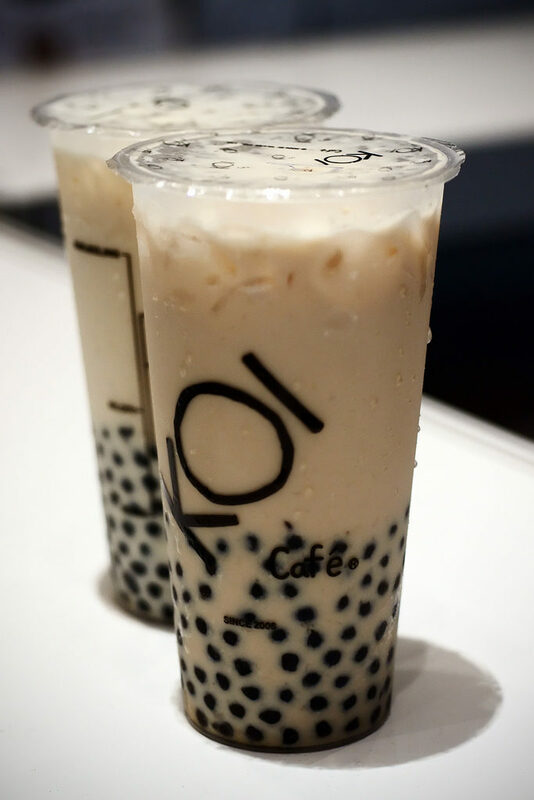 Shops specialize in pearl milk tea is as common in Taiwan as Starbucks in Seattle. And you can adjust the sweetness and quantity of ice to your liking. Yum! I miss Taiwanese food – I spent five days there and literally had bacon danbing and milk tea every morning. Bacon danbing was my go-to breakfast each morning, too!